NORMIL HAWAIIANS had a transformative 1982. With two 7" singles and a 12" EP under their belts they suddenly found themselves disillusioned with the increasingly generic sounds surrounding them, so they forced the hand of change and began reaching out with that very hand. 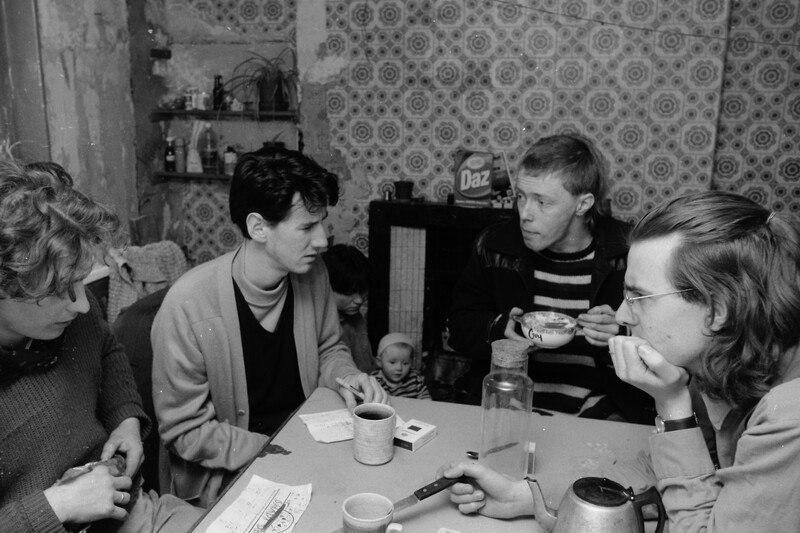 The band's true constant in Guy Smith soon found himself with a new crew of musicians, Simon Marchant, Noel Blanden and Mark Tyler. Normil Hawaiians' communal take on post punk quickly sprouted leaves from its mouth, and began carving out a new furrow. Greater emphasis was awarded to improvisation within the group and as a result their songs embarked on longer, freer journeys towards the beaten bounds. They wanted these new songs to bear the weight of their new collective spirit so comfort zones had to be left behind. Tape loops, echo boxes, extended percussive sessions and duteous faith in the tones emanating from a particular old wah-wah pedal were all employed by Normil Hawaiians to stretch their sonic fabric into wild and redolent new dimensions. 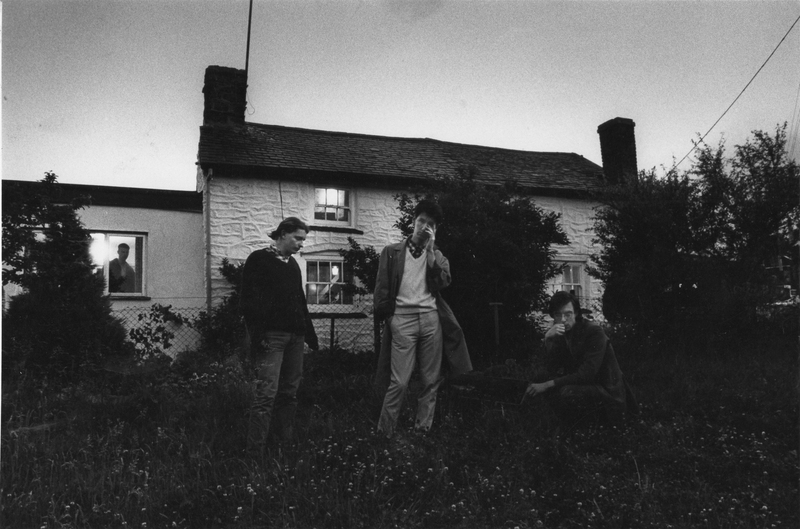 With Illuminated Records interested in the band's new visionary approach, Normil Hawaiians relocated from their South London dystopia to a rural idyll in the Welsh hills, determined to develop further this raw language for themselves. They booked into Foel Studios near Llanfair Caereinion for an extended period of time, set the tapes rolling and didn't look back. They were somewhere they knew they could experiment; at a studio that understood the results would be uncertain. Dave Anderson, who managed and engineered at Foel was exactly the right person to work with them. Anderson had come from an experimental background himself, having played in Hawkwind and Amon Duul II. Normil Hawaiians were encouraged to explore their ideas beyond limitations with Anderson happy to leave the tape recording to capture their embryonic improvisations taking shape. Anderson even joined in on bass for several of those sessions as the ensemble strove to find its authentic voice, supplemented further when their cellist friend Klaus dropped by to spend a spell with them. 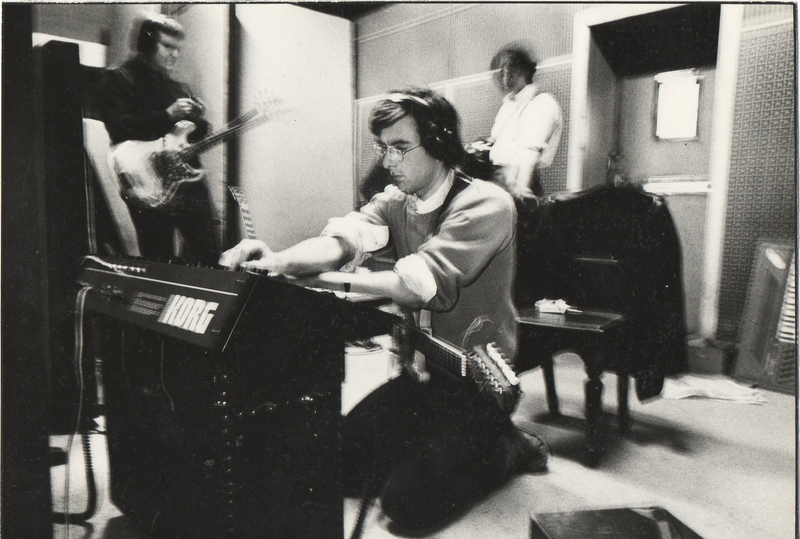 At this very moment Normil Hawaiians existed solely for the music, living together in a small cottage in the studio's shadow, sharing everything together and working long days to nurture and then burnish the music they had discovered between them. This is how the band's debut album 'More Wealth Than Money' was formed, through trial and close listening, through cultivation and patient growth. Of course there were significant amounts of mushrooms involved too and several UFO sightings, but when the sheep began to march in time to the music Normil Hawaiians knew they were creating something unique. 'More Wealth Than Money' proved a vastly ambitious debut album, sprawling across four sides of vinyl in a way that still feels truly expansive, brave, cinematic even. 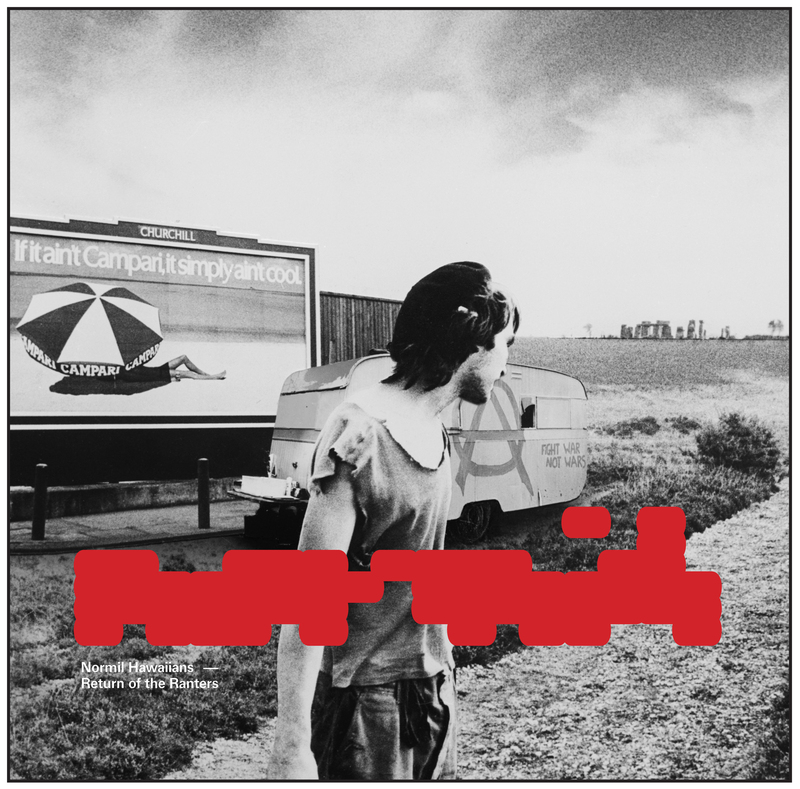 From the plaintive pastoralism of 'British Warm' to the transcendental vistas of 'Other Ways Of Knowing', the album constantly surprises with its ringing trails of guitar, motorik pulse and synth rambles. From the striving incursion of 'Sally IV' to the softly spoken disbelief of 'Yellow Rain' the album is nothing short of a waking dream. Guy Smith's vocal floats through the album in a haunting manner, at times heartfelt at others overcome. He's on a quest to his own celestial city and we can stay for the whole journey if we only listen. Described by the press upon its release in 1982 as an "absolutely mesmerising double album travelling through progressive rock, via industrial folk to freaky art-punk whilst sounding delightfully coherent" and "a huge slab of mindblowing dark psychedelia" the album was critically acknowledged for its peculiarly British kosmische. However for an album so indebted to the fertile soil from which it sprang, it's curious that 'More Wealth Than Money' never came out officially in the UK. The band's label Illuminated were temporarily blacklisted by their distributor because of unpaid debts and so the album was only available from the band at concerts within the UK. The bulk of the record's sales went to mainland Europe on export. Upset The Rhythm are now very proud to finally give 'More Wealth Than Money' the release it's always deserved. 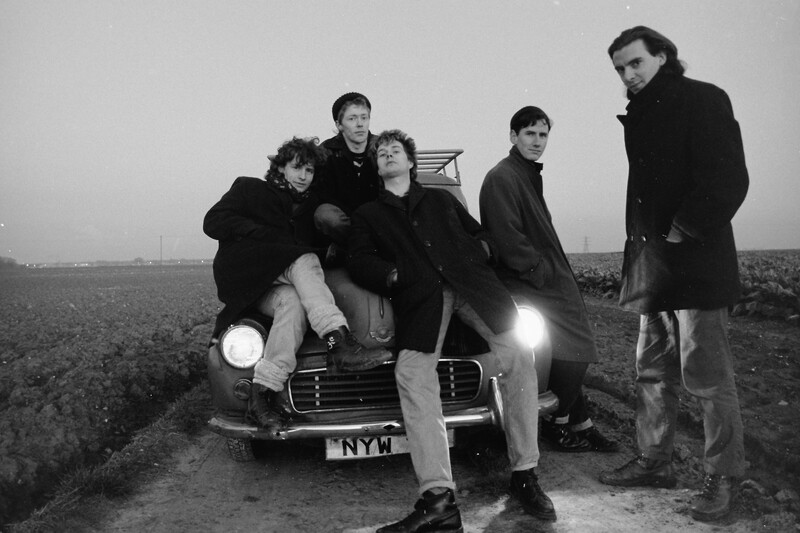 On December 1st, 35 years since the album first appeared, Upset The Rhythm will be reissuing the newly re-mastered 'More Wealth Than Money' album, alongside a further full-length collection of demos and unreleased tracks from the album's overlooked corners. Both the 2xCD and DLP versions also come with a booklet contextualizing the release, full of anecdotes and photos from all band members. This release follows on from 2015's 'Return Of The Ranters', Normil Hawaiians' lost final album from 1985, which ultimately saw the light of day in a different age through Upset The Rhythm too. During the brief English Commonwealth (1649-1660), a number of radical groups blossomed across the land; nonconformists, nudists, shakers, quakers, opponents of Church/State and of property ownership, free-thinkers, Diggers, Levellers and Ranters. 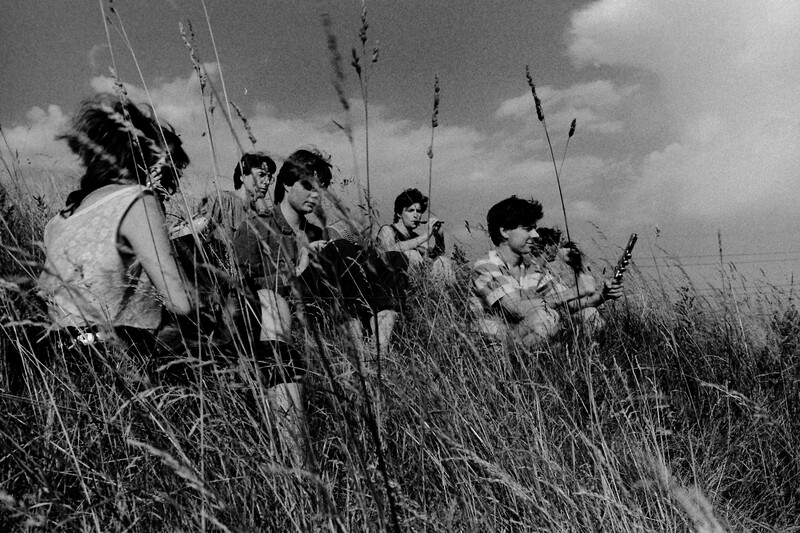 In the equally austere years of the post-punk permafrost, and under the grip of another ruthless despot, freedom was in part personified by the widely vilified and brutally attacked people's Peace Convoy - a manifestation of idealism that was grotesquely smashed near Stonehenge on 1 June 1985; 537 arrested, children terrorised, idealism and hope stamped on with fear and violence. What was essentially a class war had been joined in the previous year with horse charges and gloved fists against miners and their families across Yorkshire. This was clearly intended to force home the point: "You are nothing. We own you and your labour. You work for us." It was during these dark times that Normil Hawaiians third album 'Return Of The Ranters' was written, recorded and shelved. Normil Hawaiians have always operated as a collective of musicians rather than a band per se and for this third album, the group comprised Guy Smith, Simon Marchant, Alun 'Wilf' Williams, Noel Blanden and Jimmy Miller. 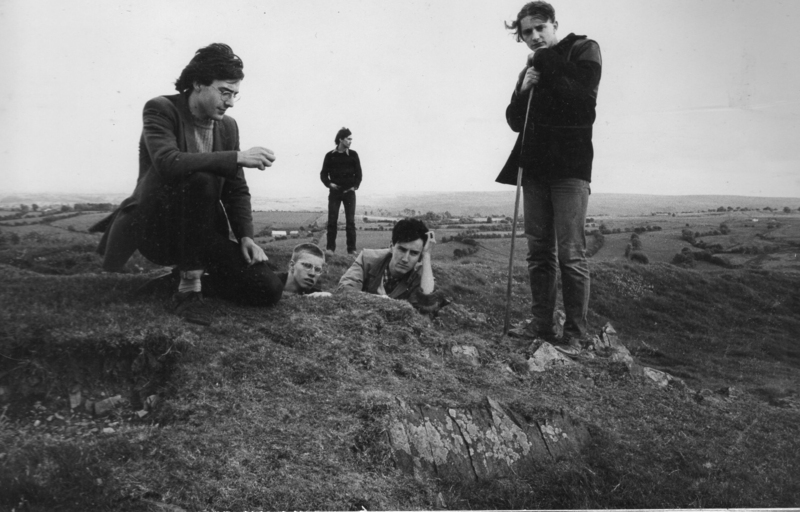 Recorded at Dave Anderson's Foel studio in Wales (sonic home of Amon Duul II and Hawkwind) in the Winter of 1985 - a time and a place triangulated from political, social and geographical aspects - 'Return Of The Ranters' extended their free experiments in compelling arrhythmia and seemingly organised sound, taking a loose trajectory from their previous albums and earlier, more confrontational approach. The album opens amidst vast clouds of atmosphere before the tape looped violin of "Sianne Don't Work In A Factory" starts to drag the song out of itself and into a sparse yet tender love song, full of hope, exalted synths and mechanised drum patterns. Acoustic guitars and walls of keyboard drone provide a fitting acre of space for the raw polemics of "Slums Still Stand", while "The Search For Um Gris" follows in full head-down, motorik mode with a miraculously hypnotic drum beat and whirling mood. "What's the colour of your heart?" sings Guy as the song spools out and grows onwards into the distance. "Battle Of Stonehenge" is a powerful and emotive recording detailing the band's personal experience of the aforementioned Police ransack of the Peace Convoy from the same year, and as a result provides the rallying point of album. Beginning bravely as a solitary spun-out voice, the song eventually becomes awash with choruses of guitar and reverberating synth, joined finally by adornments of violin and an entrancingly agile beat. "Mouldwarp's Journey" concludes the album with 10 minutes of epic improv, drawing on field recordings, murmured vocals, slowly-phasing tonal clusters, a miasma of percussion and wordless rapture. 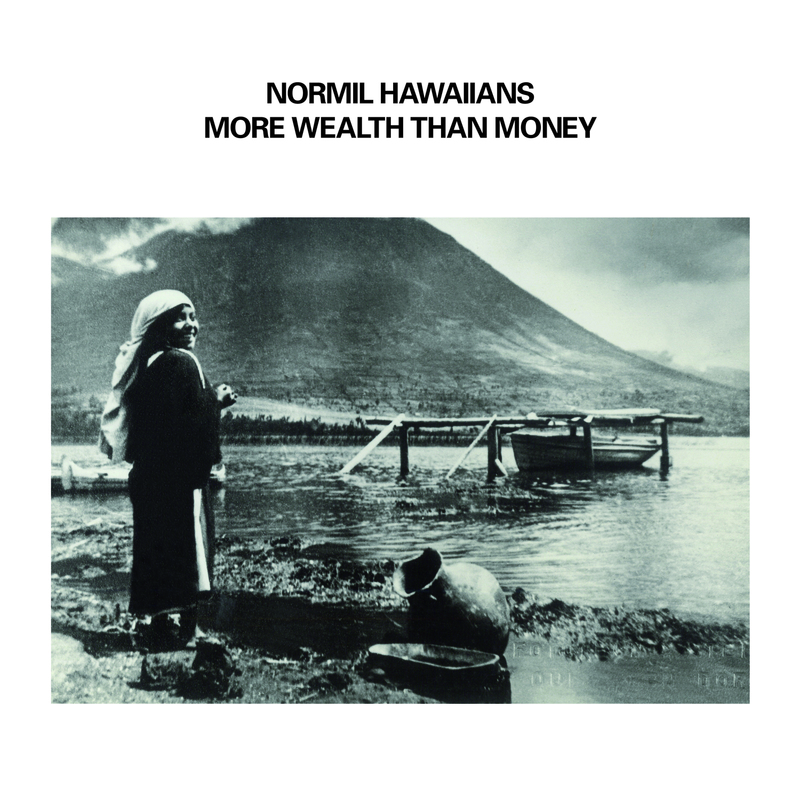 Lucid, candid, politically engaged, rarely metronomic but always humane, tired but still fighting, Normil Hawaiians' third album has waited patiently for thirty years. 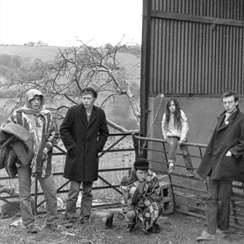 'Return of The Ranters' was not released back in 1985 as with Guy, Jimmy and Wilf living in squatting communities in South London, and Simon and Noel re-locating their families to rural Kent, the Family Hawaii splintered and went its separate ways. 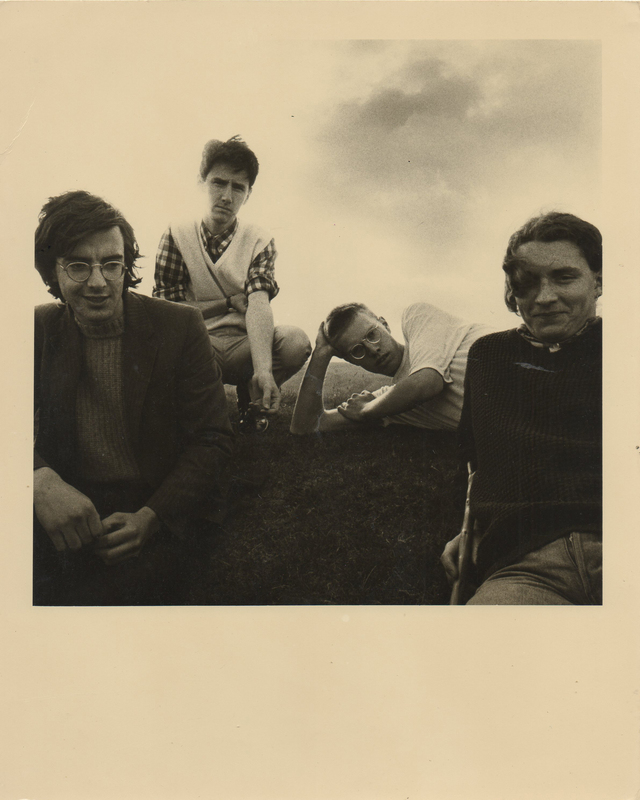 In the intervening years, the band's reputation has grown considerably, far beyond the UK. Now the causes and conditions have finally come right, 'Return Of The Ranters' has finally been released. Come rejoice with us. All that falls, now falls into place... and all that was air now becomes solid.